Hello. My name is Nirosha Dogra and I work in a leading IT firm in Chennai, TN, India. On a busy weekday morning I received an unexpected call just as I was getting ready for a meeting. A driver who used to drive the bus I took to my old office called me up and said in a trembling voice, "Amma, kaasu vainum" (Madam, I need money). I felt a little uncomfortable and wondered how to brush him off. After all, his asking for money was nothing new. Back when I took the bus, every few weeks he'd tell me or some other passenger that he didn't have money for lunch and would really appreciate a few Sodexo coupons. I had always given him coupons but never bothered to find out why he was in a money crunch. I assumed he asked for money because he thought I well off. That busy weekday morning instead of simply sending him some money, I asked him, "Yen anna?" (Why, bhaiya?) 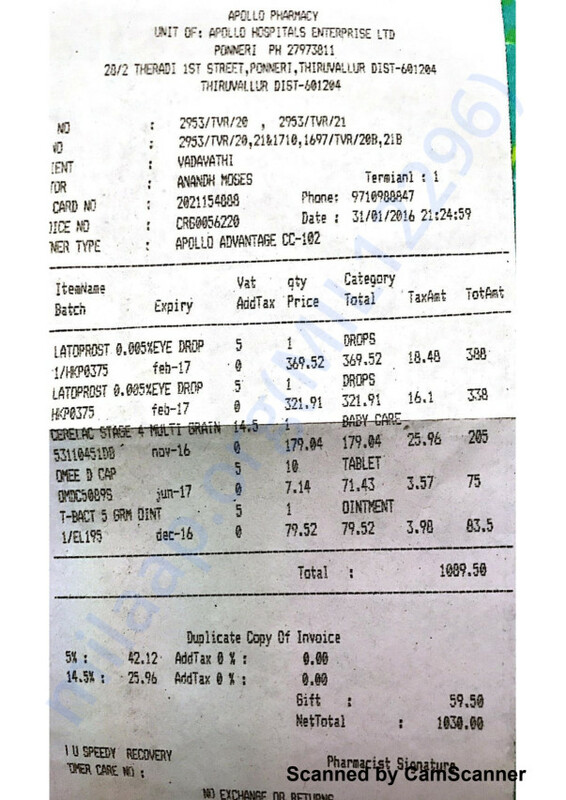 and he told me that buying medicines for his daughter had exhausted his resources. I enquiried about his daughter's condition and decideded to make a stopgap arrangement for funds until something concrete could be done. 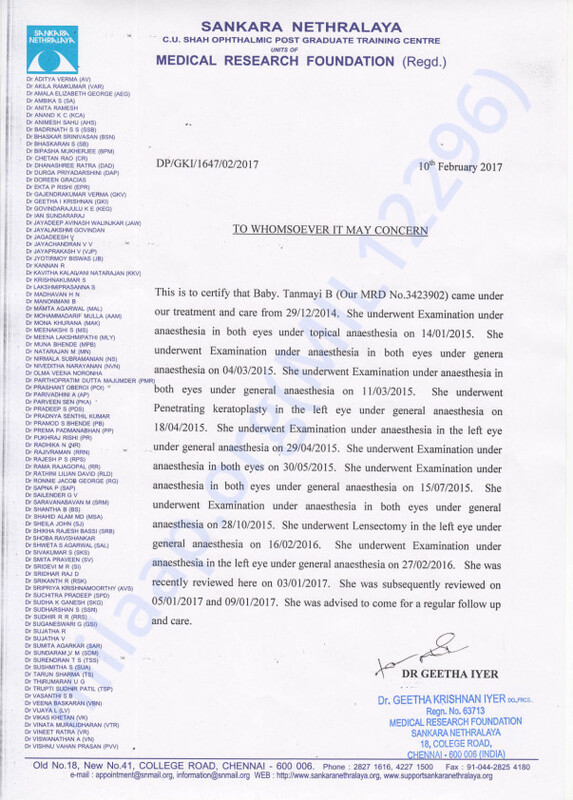 I contacted a doctor friend of mine who recently completed her MBBS from Manipal University to find out what could be done. I arranged for her to talk with Bhaskar (the bus driver) and get details about the treatment/medicines so we could make arrangements for subsidised or free medication. 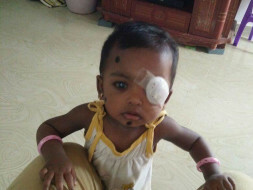 When that didn't seem possible we decided to start a campaign here to raise funds for this little child's treatment. Baby Tanmayi B, d/o Bhaskar, a bus driver employed through contract currently driving a bus that drops employees of a leading IT Consulting Firm at work, is a 2 year old girl with congenital heart disease (an atrial septal defect - a hole between the upper two chambers of her heart), congenital corneal opacities and congenital cataract. She has undergone a corneal transplant in her right eye and later had the cataractous lens in that eye removed. Her treated eye needs medications such as Latanoprost to keep they eye pressure under control and steroids post transplant to prevent graft rejection. 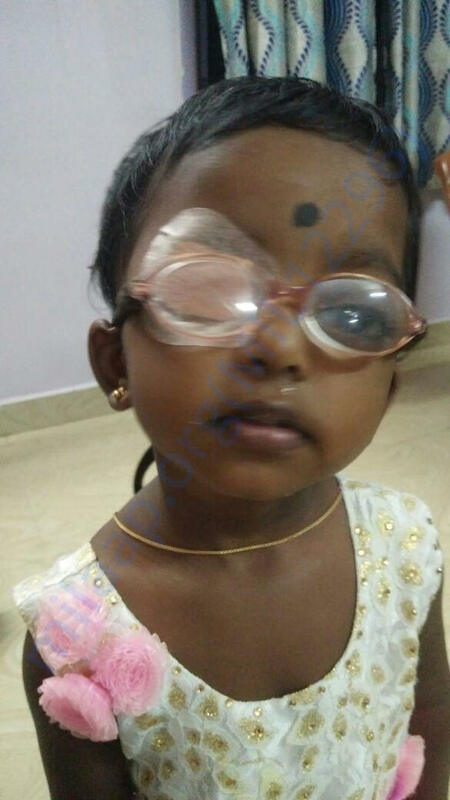 Her father, the only earning member of the household is unable to bear the expenses of the medicines and the eye patches that are necessary to enable the operated eye to see while the other eye is patched. The previous two surgeries cost him a total of nearly Rs. 1 lakh and he will need to repeat the whole sequence for her left eye as well. 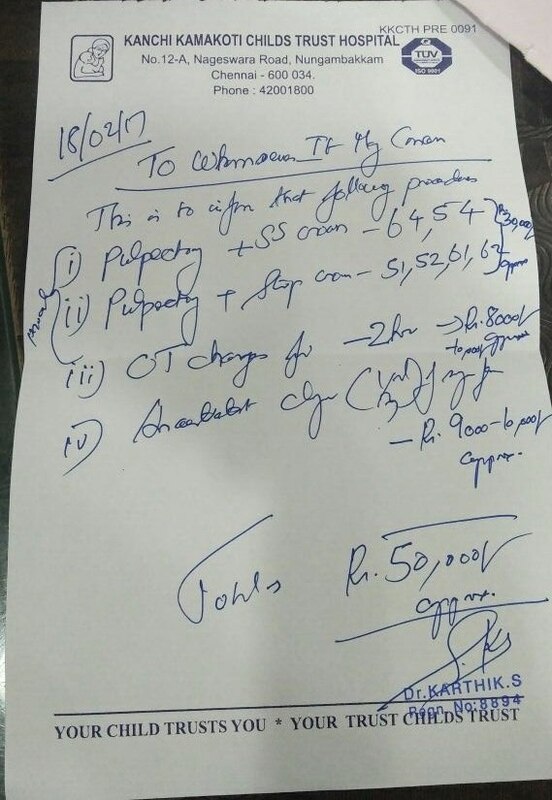 In addition, her medications and eye patches (which have to be changed due to risk of infection if used for too long) cost him Rs 1500-2000 per week and he is unable to foot the bills from the medications and her constant doctor's consultation fees. 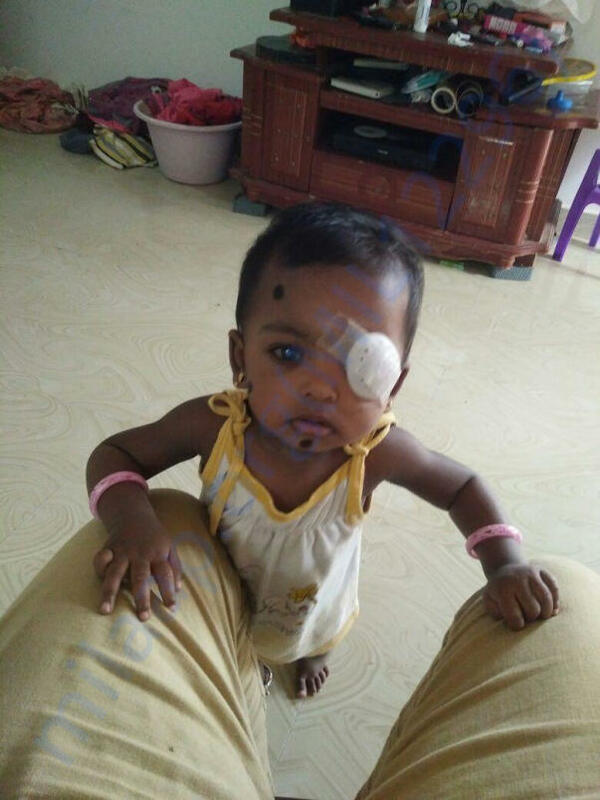 We beseech those who can to contribute towards this baby's treatment - failing which all the surgeries and hardships they have been through till now will be of no avail. 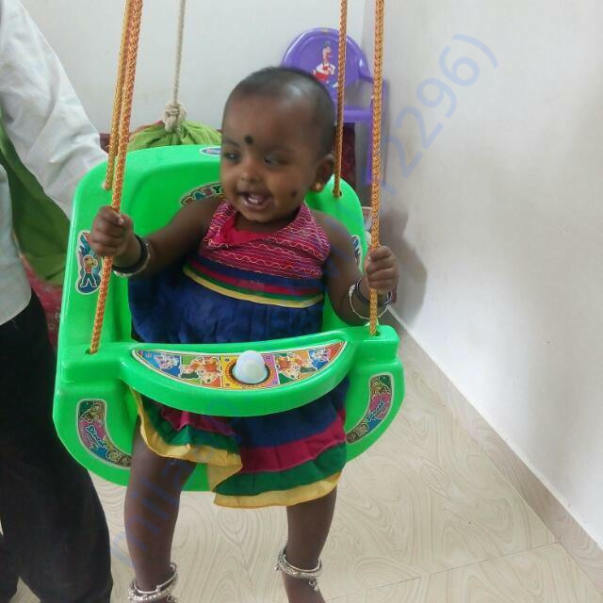 PLEASE DO HELP -every contribution will be received by an extremely grateful father to urgently help his only daughter make it through these tough few first years of life. Here is an update on Tanmay. Currently, Tanmay is at home and is doing fine. He has started saying small words like Amma, Appa, Elephant, Dog, etc. He had visited the doctor yesterday and was advised to undergo cornea operation. There are few lab tests that have to be conducted before the operation. Tanmay's left eye is reddish and if there are changes in the eye pressure, he has to undergo an immediate operation. We will keep you updated about Tanmay. Thank you for your support and love. 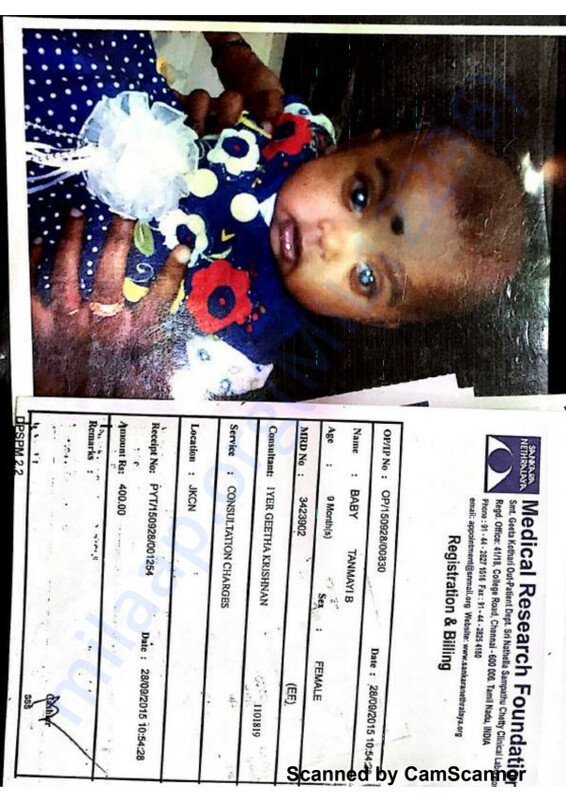 The funds withdrawn will be used to pay for Baby Tanmayi's medicines and hospital admission and treatment bills. An update on Tanmayi's treatment will be shared shortly. Tanmayi now has been advised a number of dental procedures to reduce pain in the jaw and mouth and stop the bleeding and the spread of infection to her gums. She needs ₹50,000 for this surgery. The money needs to be deposited within the coming week. Wish you a speedy recovery, God bless you..